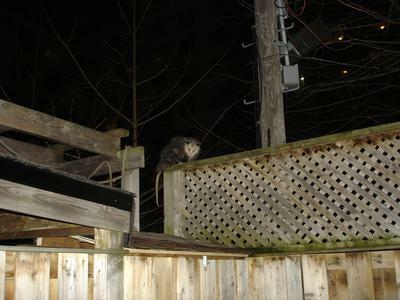 Our Golden Retriever was crying and scratching the back door to be let out, and once out we discovered it was not the usual raccoon on the back fence but a Possum! It would not budge which made it easy to take a picture! 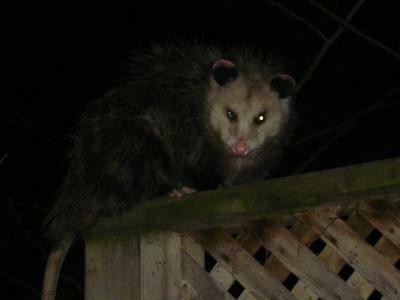 After bringing the dog in and trying to settle him down, we looked outside and the Possum was gone. The dog keeps sniffing and staring in the direction of the giant 4 story tall tree next door, so we think the Possum might be hanging out up there now.